Last year, for the mag GoWoman.com, Afroziky wrote about Beninese world music/Afropop singer Angelique Kidjo and her most recent album "Eve". We called it, "a strong album, mostly upbeat and full of women, singing together and empowering each other... one of her greatest accomplishments." 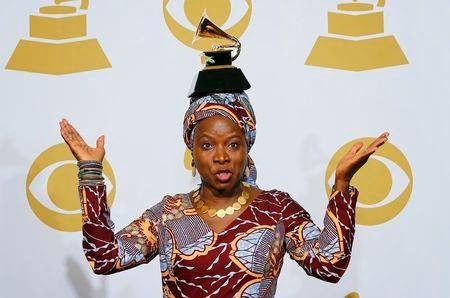 The Grammy Awards Organization confirmed the greatness of the album by giving Kidjo her second Grammy for World Music album. "This album is dedicated to the women of Africa -- to their beauty and resilience," the Beninese singer said in her acceptance speech. "Women of Africa -- you rock!" Watch Kidjo talk about her victory for African women.